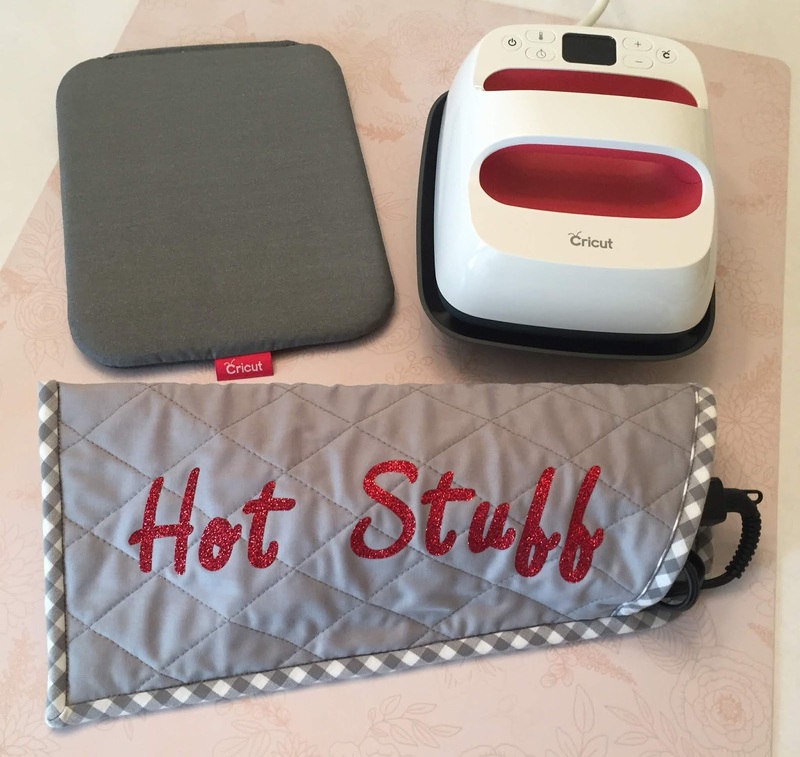 I love my new "Hot Stuff" hot iron sleeve and can't wait to head out on a trip just so I can try it out! 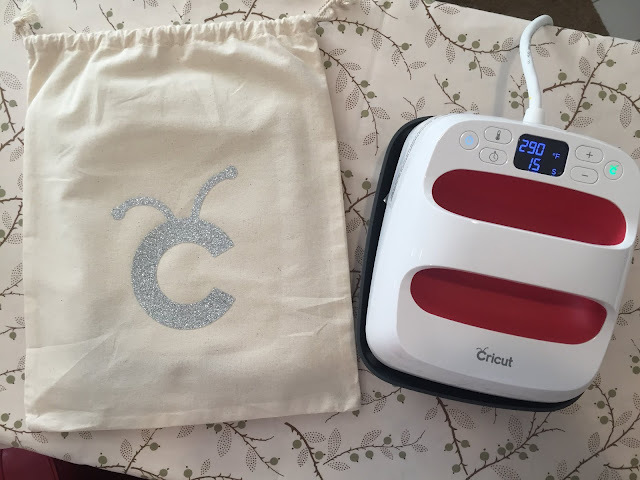 I sewed it myself and used the new Cricut Easy Press 2 to iron on the wording. So cute right? I'll show you how I made it in just three easy steps and then you can make one for yourself! First though lets just talk about the adorableness of this little wonder. My Easy Press 2 is the smallest in the series and is just 6" x 7". It can give you totally professional results so quickly and is super easy to use. It comes with a quick start guide and a simple first project. I had mine out of the box and finishing the iron-on in less than five minutes! It comes with a safety base that protects your surfaces while it's resting and heating. 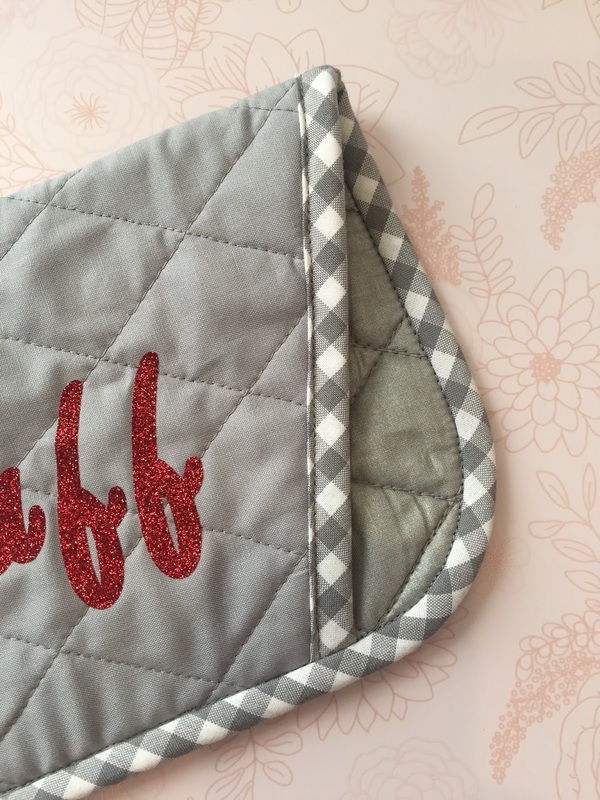 You can also get a Mat that comes in a similar size, or just use a towel as a pad. My favorite thing though is this super cute raspberry color! Step 1 - cut out everything you need. 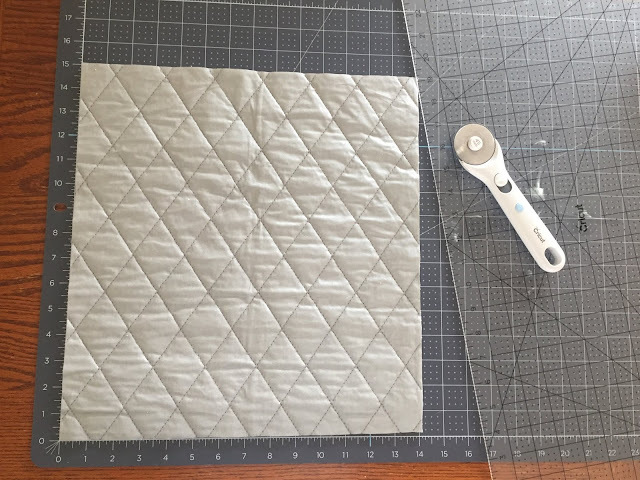 I used a quilted utility fabric from Joann. It's something you could use to cover an ironing board, and has a silver heat resistant fabric layer and batting. Perfect for this sleeve. Cut a piece 14" x 15" silver side up. 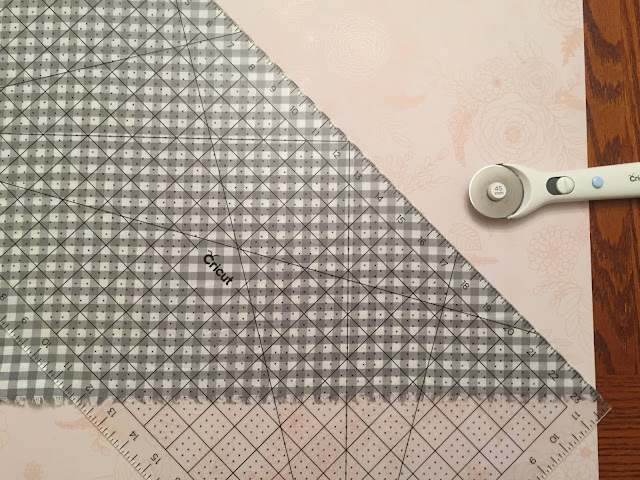 At the 7" mark, angle the ruler down on the left side 2 1/2" and cut along that line. On the right corner, use a bowl to create a curve. 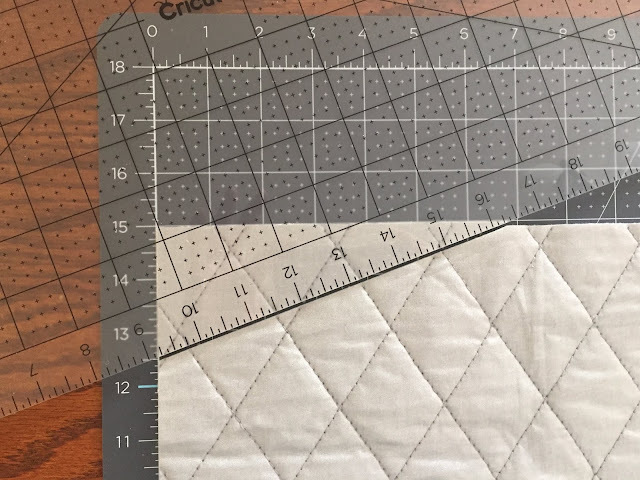 When you fold the fabric in half it should look like this. 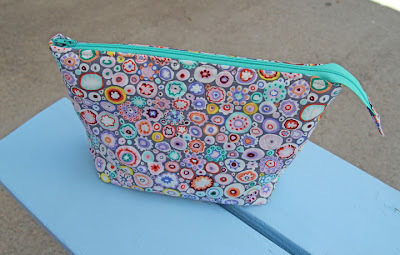 My inspiration was my eye glasses case. 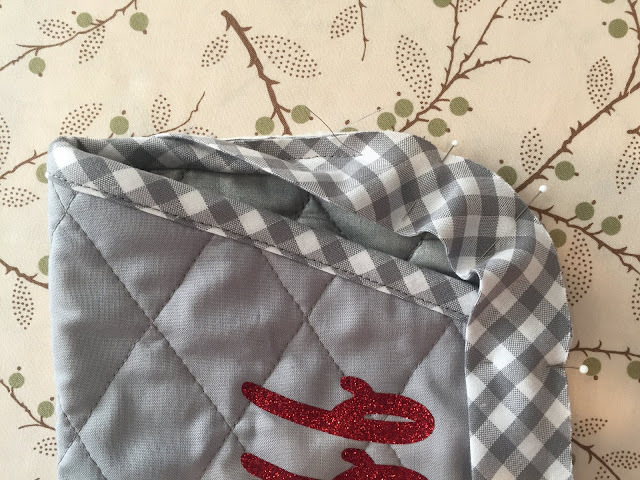 I added a layer of grey cotton fabric to the outside by quilting it on top of the existing quilting lines. 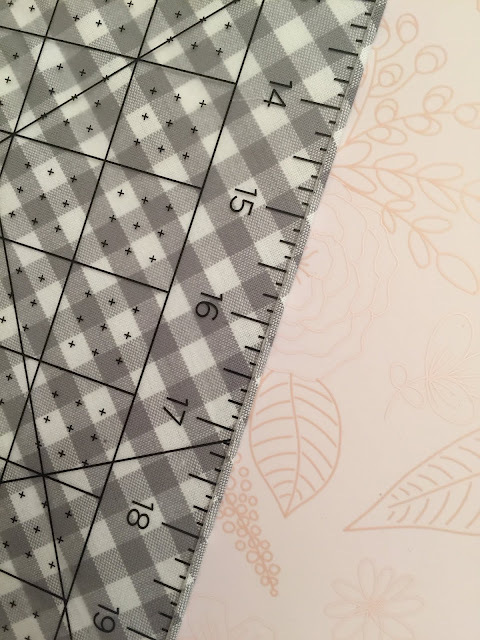 Now you have a sleeve that is 7" x 15". Make bias tape that is 2 3/4" wide and 40" long. An easy way to cut on the bias is to fold the fabric at a 45 degree angle and trim off a tiny sliver of the folded edge. Now use that edge to cut your bias strips. 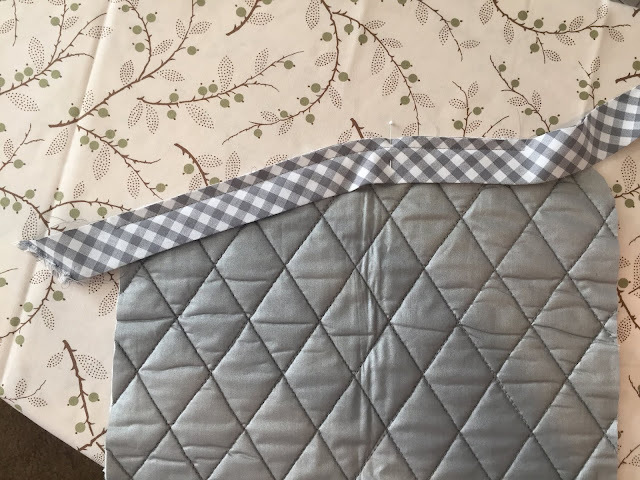 Iron the binding in half lengthwise and set aside. The last thing to prepare is your image. 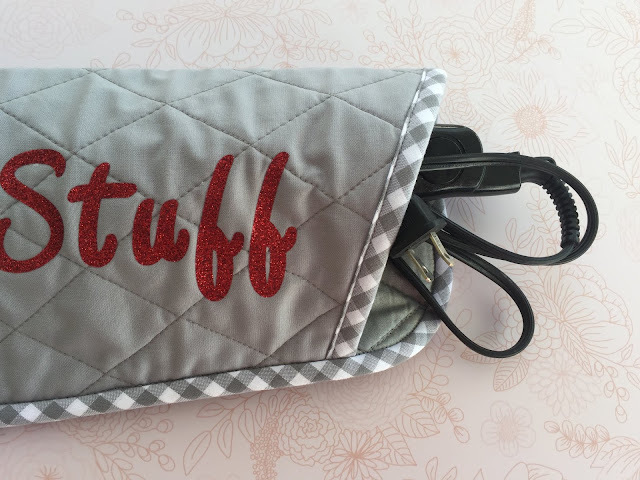 You can access my "Hot Stuff" image here in Cricut Design Space. 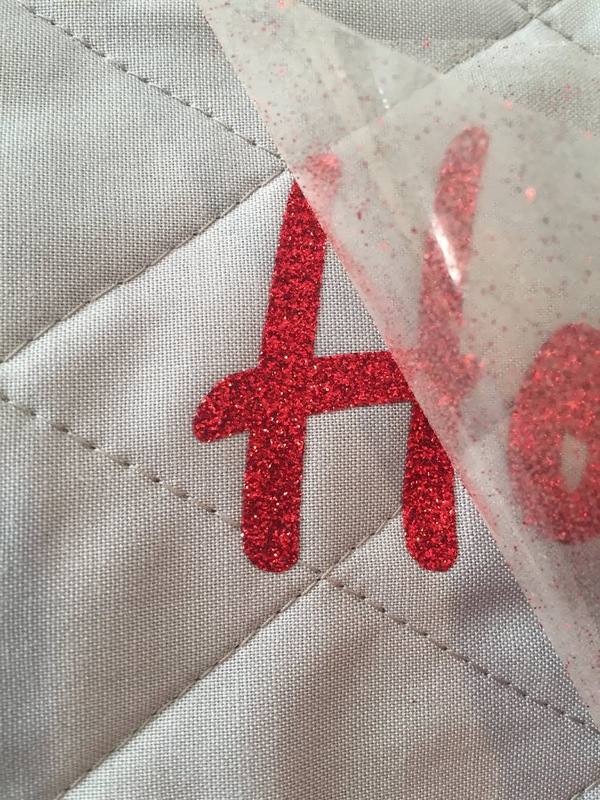 I used the Cricut Red Glitter Iron-on. Even though I won't be washing this sleeve very often, these iron-on's are said to last for at least 50 wash/dry cycles and come with the StrongBond Guarantee, which means that if you use it as directed and aren't completely satisfied, you get your money back! 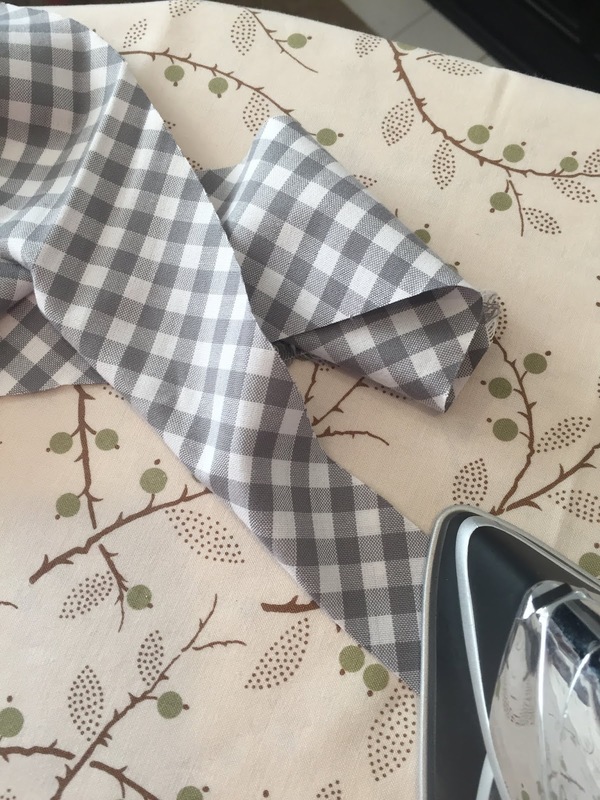 Step 2 - Iron-on the image. 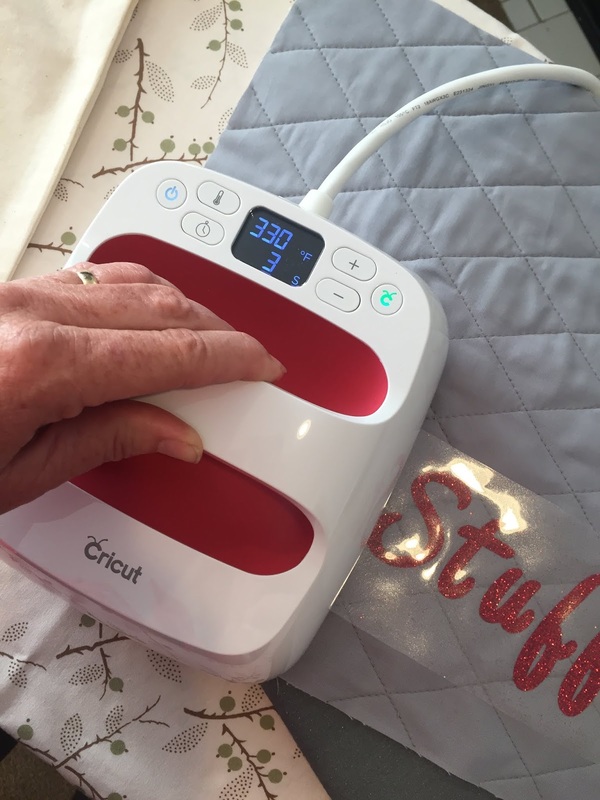 This is the easy part because the Easy Press 2 heats up so fast and the image is ironed on in less than a minute! Step 3 - Attach the binding. Sew the folded binding onto the upper edge of the silver side of the sleeve as shown using a 1/4" seam allowance. Stop about 2" from the right corner. 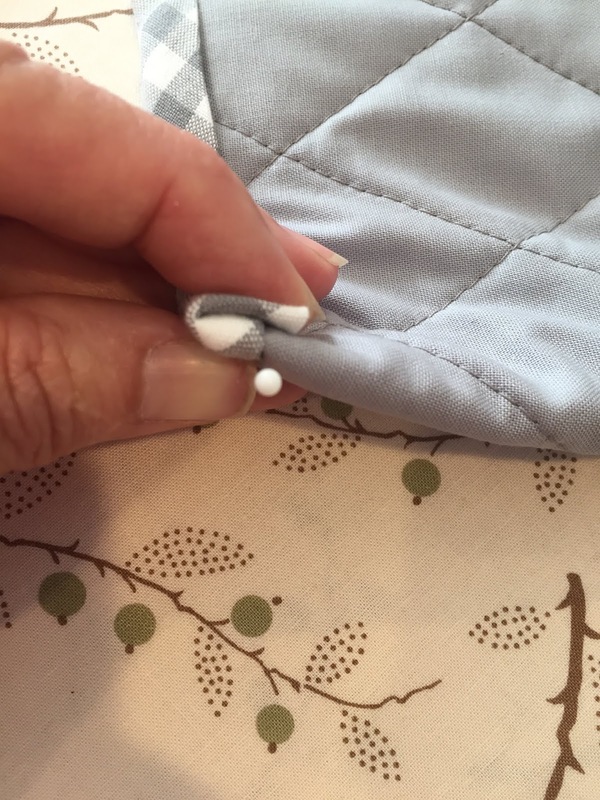 Place a pin 1/2" to the right of center as shown. The pin marks a starting point. 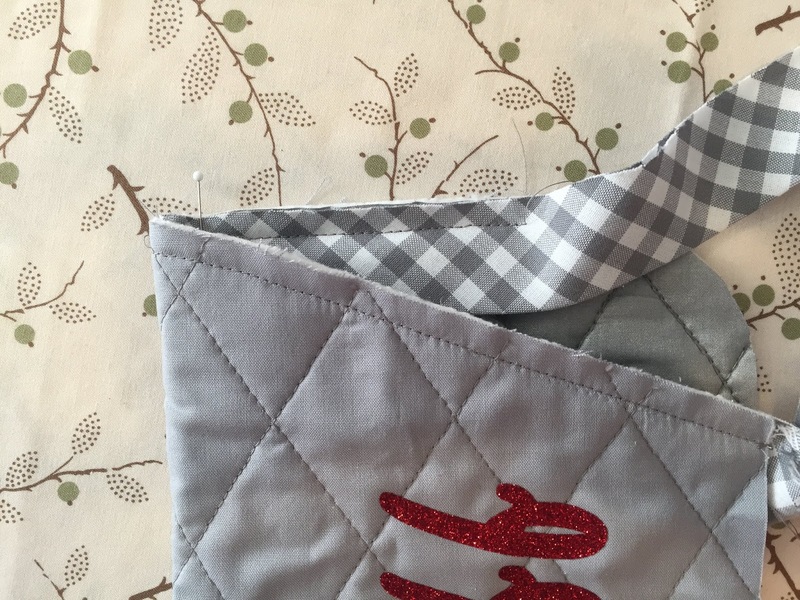 Turn the binding to the right side of the sleeve and topstitch starting at the pined mark and ending at the angled corner. 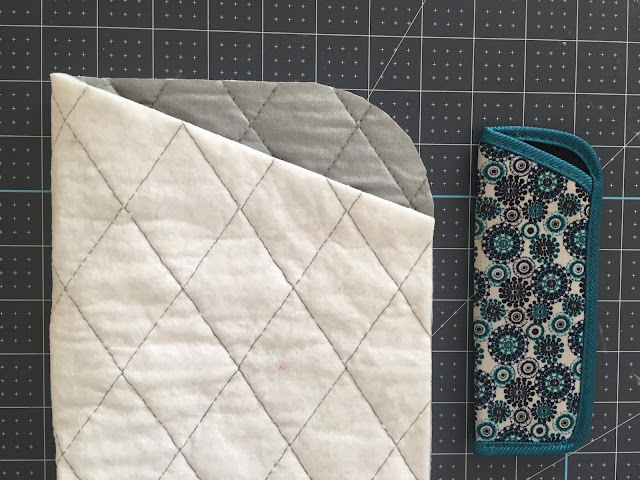 With the sleeve folded in half, continue stitching the binding on around the curved corner, down the right side of the sleeve (catching all six layers) and across the bottom, mitering at the corner. Fold the binding around to the back of the sleeve, tucking it in at the end. Starting where that first pin was and where you had started the first topstitching, stitch in the ditch of the binding, catching the loose binding on the back of the sleeve. This is the perfect solution to traveling with a hot iron. I can easily pack the iron away while it's still hot because it's safe in its "Hot Stuff" sleeve!